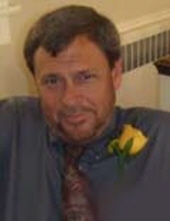 Mr. Michael Norris Durham age 57 of North Wilkesboro, passed away Wednesday, April 10, 2019 at his home. Funeral services will be held 3:30 PM Sunday April 14, 2019 at Mt. Carmel Baptist Church with Rev. Dean Adams officiating. Burial will be in the church cemetery. The family will receive friends from 1:00 until 2:30 prior to the service at Reins Sturdivant Funeral Home. Mr. Durham was born November 21, 1961 in Wilkes County to Pete and Hazel Marie Church Durham. Mr. Durham was a Mechanic and a member of Mt. Carmel Baptist Church. He was preceded in death by his mother; Hazel Marie Church. Mr. Durham is survived by his father; Pete Durham of North Wilkesboro, a brother; Tony Durham of North Wilkesboro and his loving companion; Tammy Cheek of North Wilkesboro. To send flowers or a remembrance gift to the family of Michael Norris Durham, please visit our Tribute Store. "Email Address" would like to share the life celebration of Michael Norris Durham. Click on the "link" to go to share a favorite memory or leave a condolence message for the family.